K2 Fit 80 - der 80mm Inliner von K2 zum günstigen Preis. The K2 F.I.T. 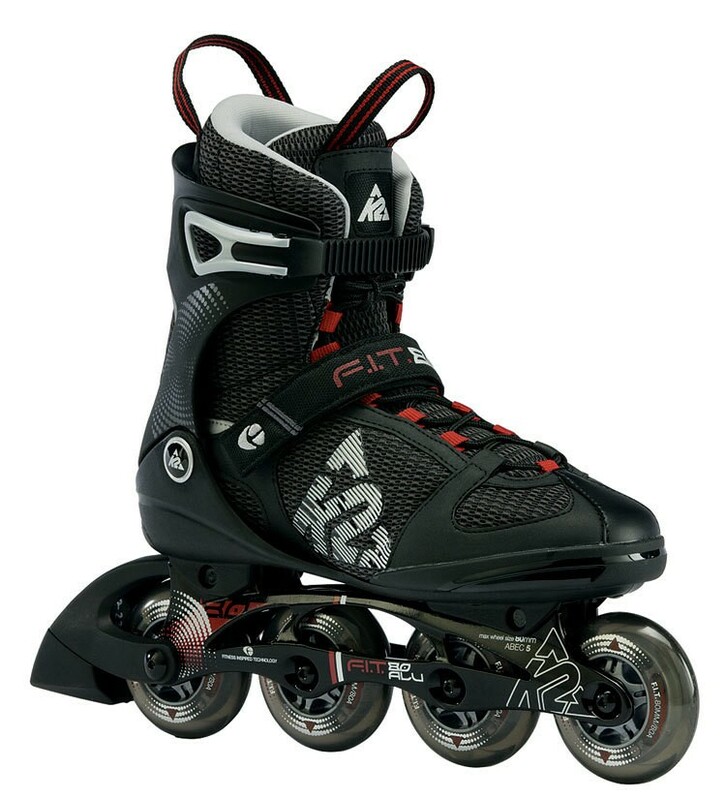 80 Alu men inline skate is suitable for beginners, the purchase of fitness reasons rollerblading. Of course, the K2 F.I.T. 80 Alu men inline skate is for normal inline skaters or for beginner skater suitable, too. The K2 F.I.T. 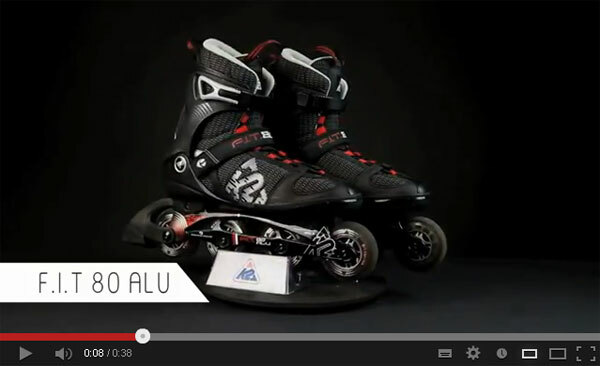 80 Alu mens inline skates with the new aluminum frame has a better energy transmission. The completly energy goes directly over to higher speeds. This cuff sets the standard for what is needed recreational skaters and fitness skater at cuffs. The Stability Plus is the perfect blend of comfort and support force, reduces the overall weight of the inline skates and creates the perfect cuff for a broad range of inline skates. Aluminum die-cast aluminum rails are known to provide excellent power transfer and stability at high speeds. The D.C. Aluminum design of K2 is providing these two properties in a medium length, extremely agile, fitness-oriented track. Both available in 80-mm versions and in 84-mm design. The traditional lacing system ensures every foot shape for a snug fit cords your inline skates so that they sitzten exactly at the heel, midfoot, and every other point the way you want it.